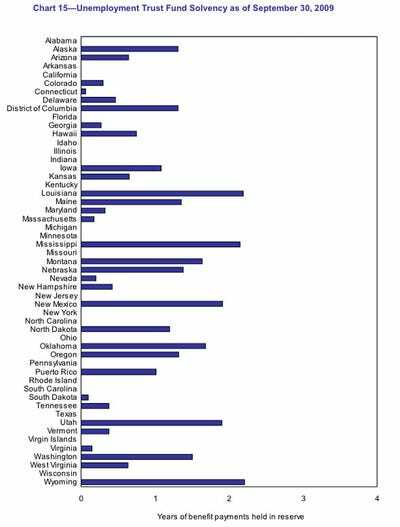 There are 37 states with the bare minimum in funds for unemployment outlays, this according to the Financial Report of the United States Government. 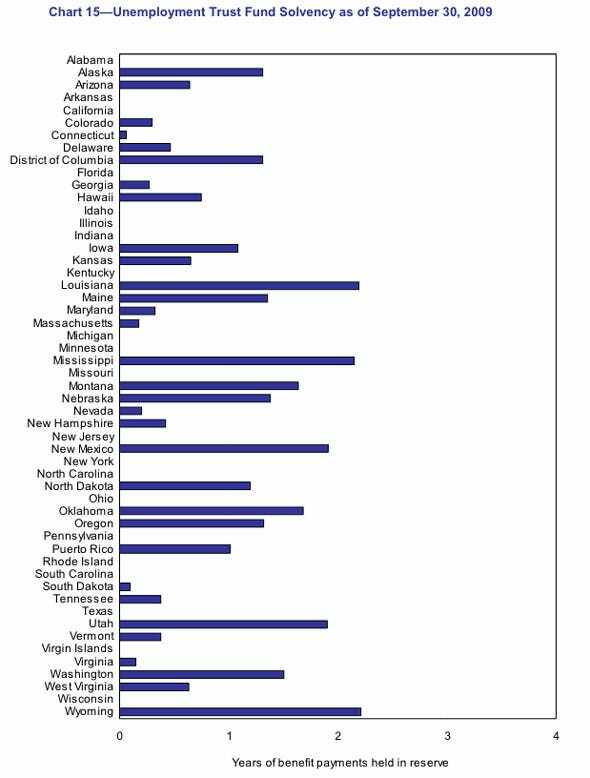 The Treasury Department assessment points to the 37 states with the ‘minimum solvency ratio’ of 1. Important to note, these numbers are as of September 30, 2009 and could have become much worse since.